Electronic Arts announced today that fans will be getting their first look at the gameplay for Star Wars Battlefront II on June 10th at 12:30pm PT (3:30pm ET) during EA Play. The livestream will feature the "Assault on Theed" mode and will feature a collection of YouTube stars and Twitch streamers facing off for control of Naboo's capital city. The full roster of gamers will be announced on EA's social media. 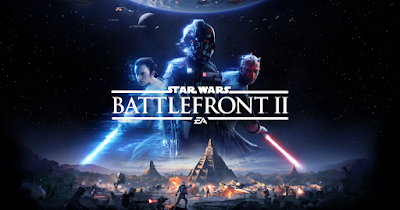 Fans wanting to get in on the fun can enter a sweepstakes to be a part of the first livestream by tweeting why you love Star Wars games to @EAStarWars with the hashtags #EAStarWarsSweepstakes #AssaultonTheed (terms and conditions).